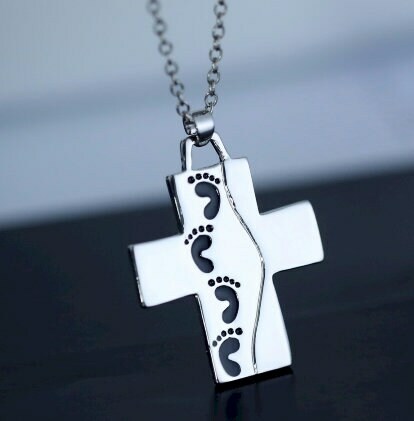 Stunning Silver Jesus Footprints Cross Necklace. 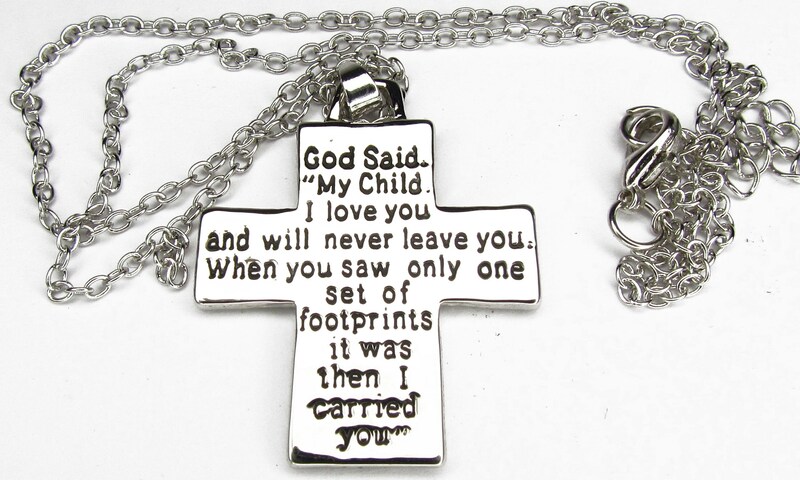 Front has 4 black shadow footprints and the back has black shadow lettering "God Said - My Child I love you and will never leave you. 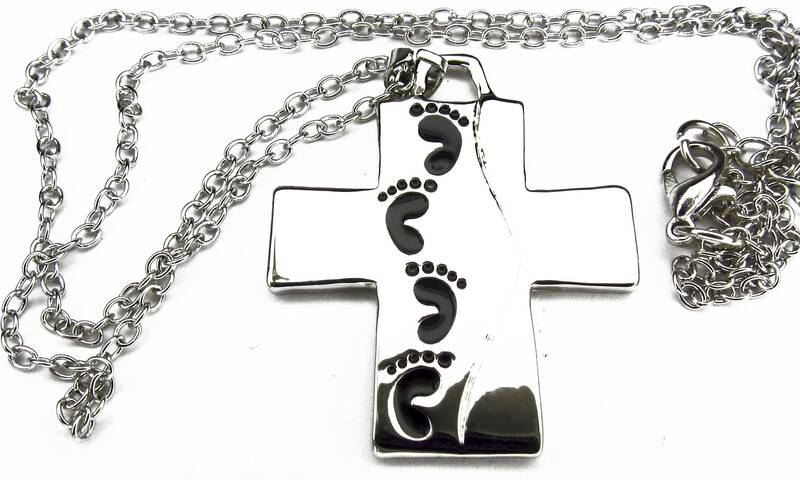 When you saw only one set of footprints it was then I carried you." A Saint Michaels Jewelry exclusive. The Cross measures 1 1/8" wide x 1 3/8" tall. 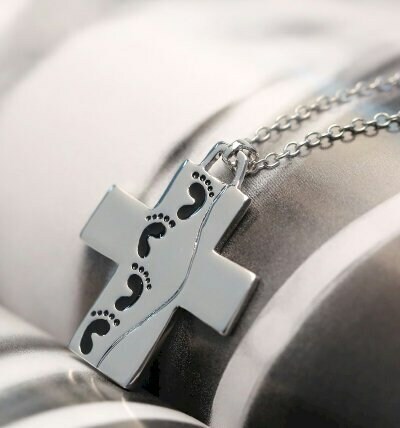 Each Cross Necklace comes with a complementary 18” silver link chain with positive locking lobster clasp.